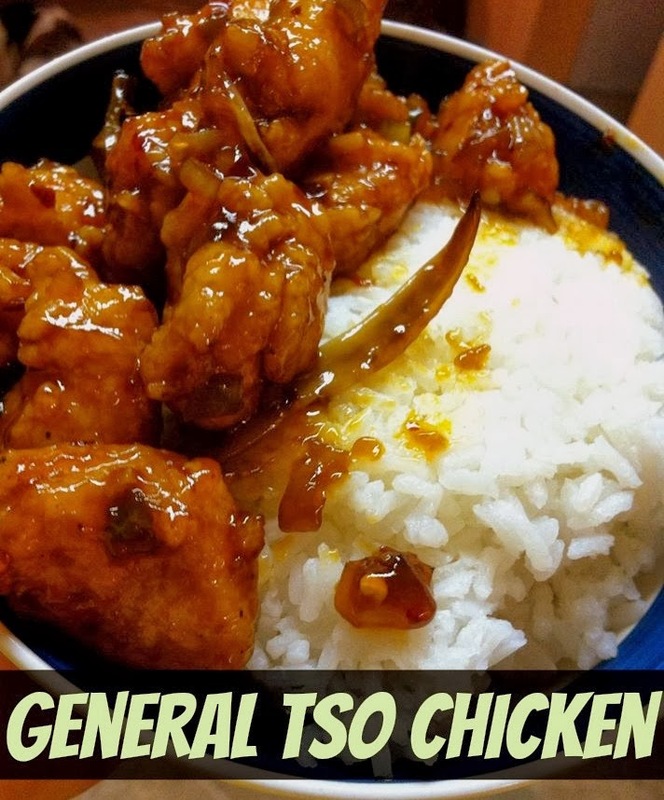 I am finally ready to share my new General Tso Chicken recipe. I had never tried to make it on my own until my friend made some over the summer and I absolutely loved it. When I think about it, I'm not sure why I never tried to make it before - I mean, whenever we order take-out I am always truly ticked off that the chicken is microscopic and the breading is a giant puff of fried flour. It seems like there isn't even any chicken half of the time in each morsel of breading. Anyone else have this issue? I know I am not the only one...right? I don't like to toot my horn or anything, but I always bread and fry my own chicken for all my chicken recipes. I just am picky about my breading. It doesn't take that long. Just mix up the flour in a gallon-sized bag, dip your chicken in egg, shake in the flour...fry. Easy peasy! Needless to say...first my recipe had too much vinegar...then not enough spice...etc. and so on. Until victory! This one is the winning recipe..so far. :) I am sure you should make this tonight for dinner! Heat the oil in a fryer or a large skillet for frying the chicken pieces. Beat the egg in a bowl and add the chicken. Toss the chicken to coat entirely with the egg. In a large ziploc bag, combine the cornstarch, flour, and salt & pepper to taste. Dump the chicken in the flour mix and toss to coat well. Add the chicken pieces to the hot oil, turning after a few minutes to brown each side. Meanwhile, in a small bowl, combine the vinegar, soy sauce, sesame oil, ketchup and sugar. Heat a tablespoon or two of vegetable in a wok or another large skillet. Add the chili peppers, onions, garlic and red pepper flakes. Cook until onions are clear. Add the sauce and let cook until bubbly. Drain the chicken on paper towels to absorb the excess oil. Add the fried chicken to the sauce. Coat each chicken piece well. Continue to let cook until the sauce thickens.